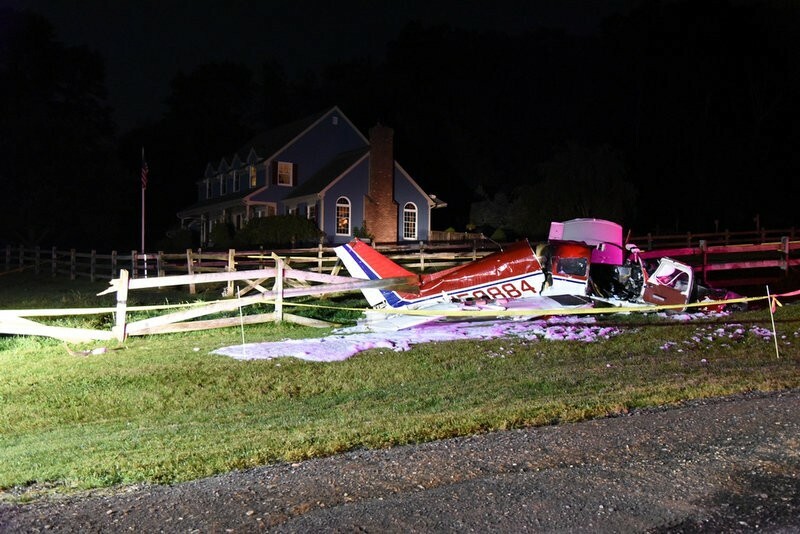 On August 5, 2017, about 2230 eastern daylight time, a Piper PA-28-140, N56884, owned and operated by the student pilot, was substantially damaged during a collision with trees and terrain, while on approach to Sky Manor Airport (N40), Pittstown, New Jersey. The student pilot and one passenger were seriously injured, while a second passenger sustained minor injuries. The personal flight was conducted under the provisions of Title 14 Code of Federal Regulations Part 91. 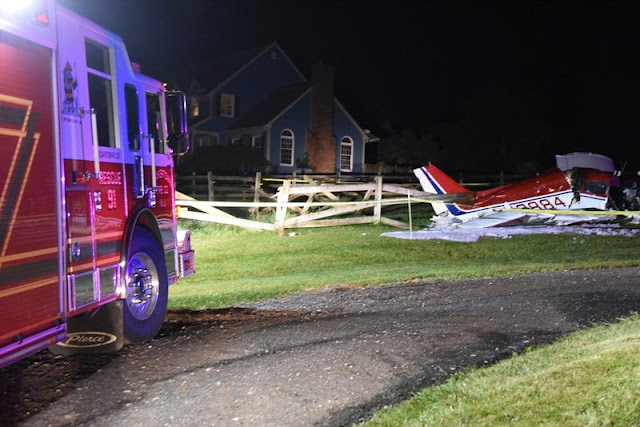 Night visual meteorological conditions prevailed and a visual flight rules flight plan was filed for the flight that departed Blairstown Airport (1N7), Blairstown, New Jersey, about 2210. 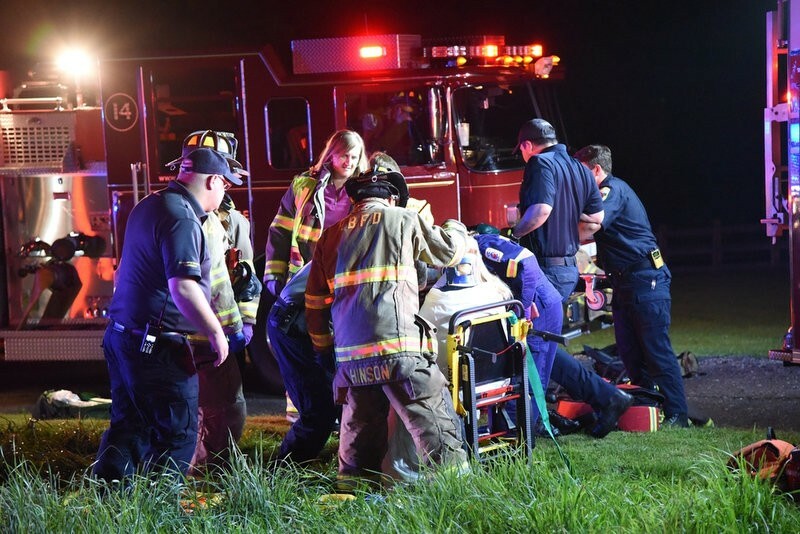 Due to his injuries, the student pilot did not recall the accident sequence. He reported a total flight experience of 105 hours, of which, 5 hours were at night. 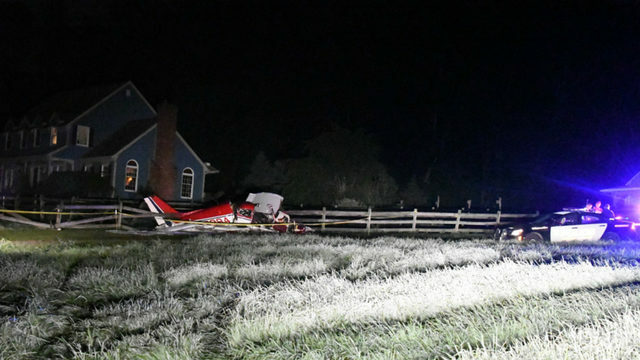 The student pilot had not flown during the 90-day period preceding the accident. 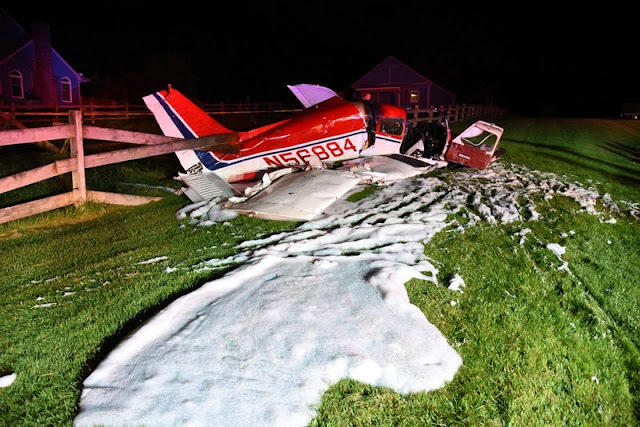 The front seat passenger stated that he and the student pilot previously spoke several times about flying the airplane to N40 for required equipment (avionics) installation. 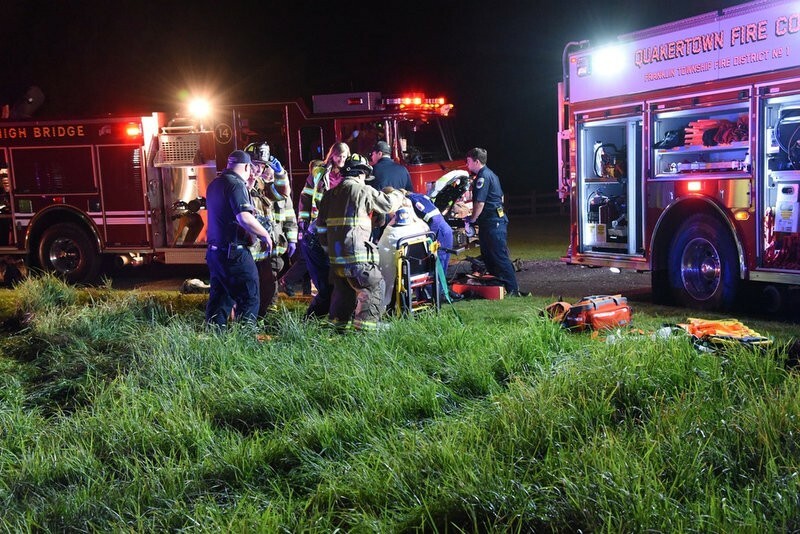 The front seat passenger was also seriously injured and remembered only some of the accident sequence. He recalled the student pilot saying, "we are losing altitude, this is not good." The rear seat passenger sustained minor injuries and recalled that the student pilot stated they had to complete a 360° turn before landing. The student pilot then adjusted the wing flaps and the rear seat passenger saw a red blinking light, powerlines, and trees. The student pilot then stated that they needed to climb, but they were not climbing. The student pilot subsequently remarked that he thought he saw the problem and adjusted the wing flaps again. 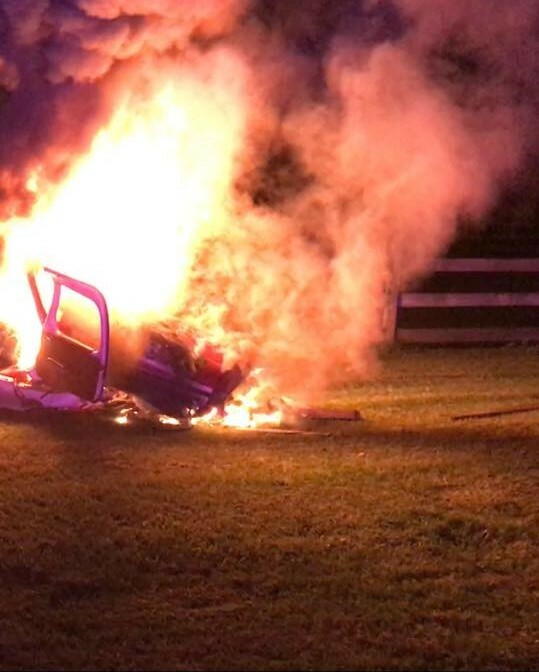 The rear seat passenger did not recall the impact. Review of radar data and air traffic control (ATC) communications provided by the Federal Aviation Administration (FAA), revealed that the airplane was at 3,500 feet mean sea level (msl) when the student pilot reported beginning a descent to ATC at 2224. The airplane flew a track consistent with an approximate 3-mile left base leg to final leg of the airport traffic pattern for runway 7, at N40. While on final approach, the airplane descended from about 2,300 feet msl to 1,300 feet msl as it neared the runway threshold (which was at 548 feet msl). The airplane then completed a right 360° turn and the last radar target was recorded over the airport about 2230, indicating a groundspeed of 70 knots and an altitude of 1,000 feet msl. The wreckage was located about 1/2-mile beyond the departure end of runway 7 and had been partially consumed by a postcrash fire. Examination of the wreckage by an FAA inspector did not reveal any preimpact mechanical malfunctions. The inspector was able to rotate the crankshaft by hand and confirm camshaft, crankshaft, and valve train continuity to the rear accessory section of the engine. He also attained thumb compression on all four cylinders. The inspector added that the passengers were not certificated pilots. The student pilot's flight instructor reported that the student pilot attempted to schedule a lesson for August 4, 2017, to gain proficiency; however, the flight instructor already had a commitment. The student pilot then scheduled the flight instructor for August 10, 2017. 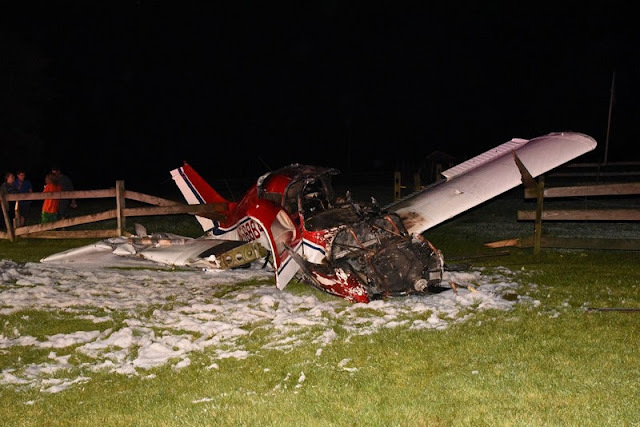 The flight instructor added that he last provided ground instruction to the student pilot on February 18, 2017, and the student pilot subsequently completed a solo cross-country flight uneventfully during the same day. The recorded weather at an airport located about 12 miles east of the accident site, at 2253, included calm wind, clear sky and visibility 10 miles. Injuries: 2 Serious, 1 Minor. 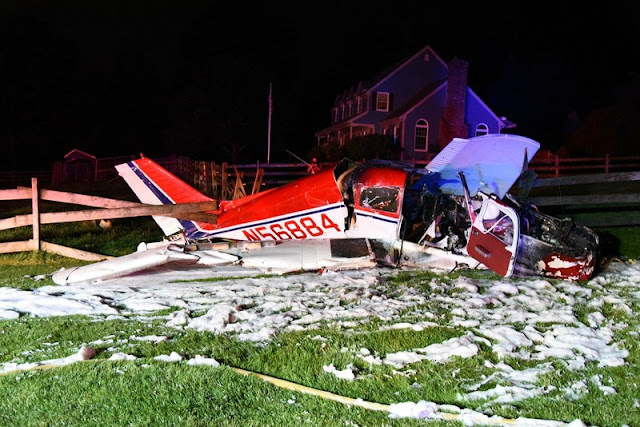 On August 5, 2017, about 2242 eastern daylight time, a Piper PA-28-140, N56884 was substantially damaged during a collision with trees and terrain, while on approach to Sky Manor (N40), Pittstown, New Jersey. 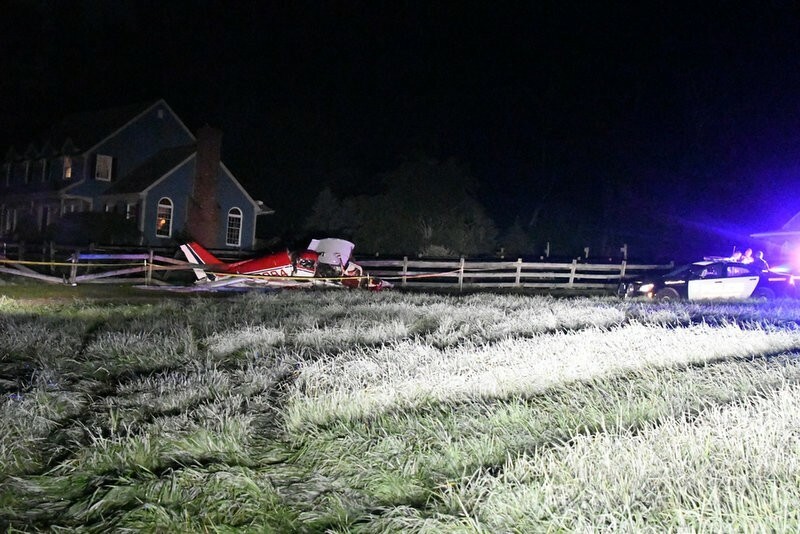 The student pilot and one passenger were seriously injured, while the other passenger received minor injuries. The personal flight was conducted under the provisions of 14 Code of Federal Regulations Part 91. Night visual meteorological conditions prevailed and no flight plan was filed for the flight that departed Blairstown Airport (1N7), Blairstown, New Jersey, about 2215. The student pilot and front seat passenger had been in an intensive care unit and unable to initially provide a statement. 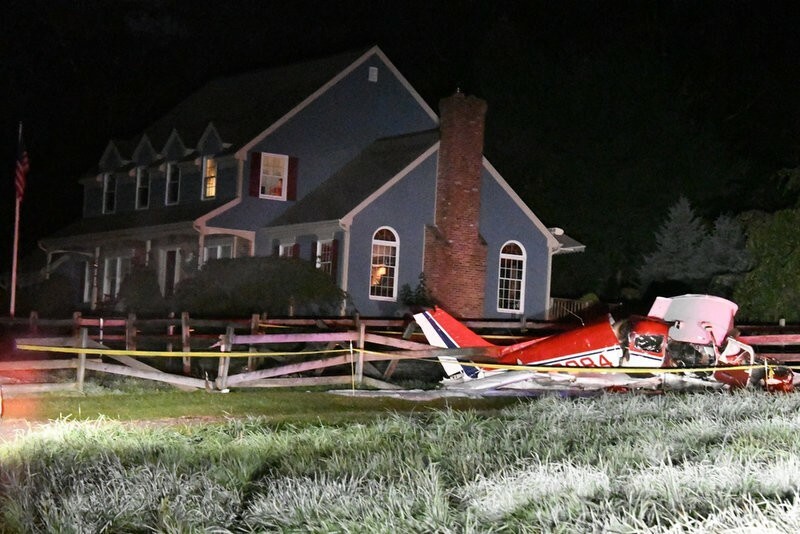 According to preliminary information from a Federal Aviation Administration inspector, the three occupants were related, but neither of the passengers held a pilot certificate. 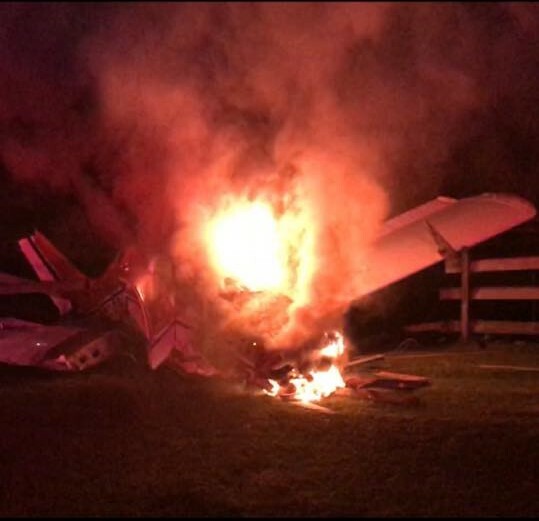 According to the rear seat passenger, family members, and the student pilot's flight instructor, the student pilot had planned to ferry his airplane to N40 the following week with his flight instructor to have avionics installed. However, the three occupants had been at a family picnic during the day of the accident and the student pilot decided to ferry the airplane with them that night, instead of the following week with his instructor. Another family member drove to N40 to provide ground transportation back to the student pilot's home once the airplane had landed. The rear seat passenger further stated that the airplane was in a circling descent near N40 when the student pilot noted red obstruction lights related to utility wires and indicated that something was not correct. 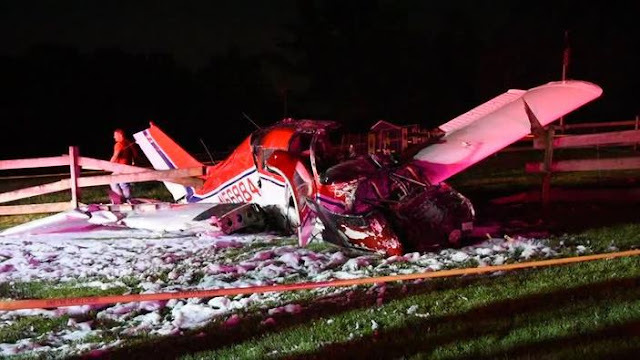 The airplane then collided with trees and impacted the ground. The three occupants were able to egress before a postcrash fire consumed a portion of the cockpit. lucky fools. I hope they realize how fortunate they are and learn from this. Busted, but still alive. Most likely will never get a PPL from the FAA now. Sad waste of a nice old Piper.